Since my pink sofa arrived last month I’ve been wanting to make some throw pillows for it. I finally got around to making a couple simple pillow covers using some gold pleather I had left over from making the gold scalloped napkins and some fabric I picked up at the local fabric store. And what would I put on the pillows other than scallops and a big heart, right? 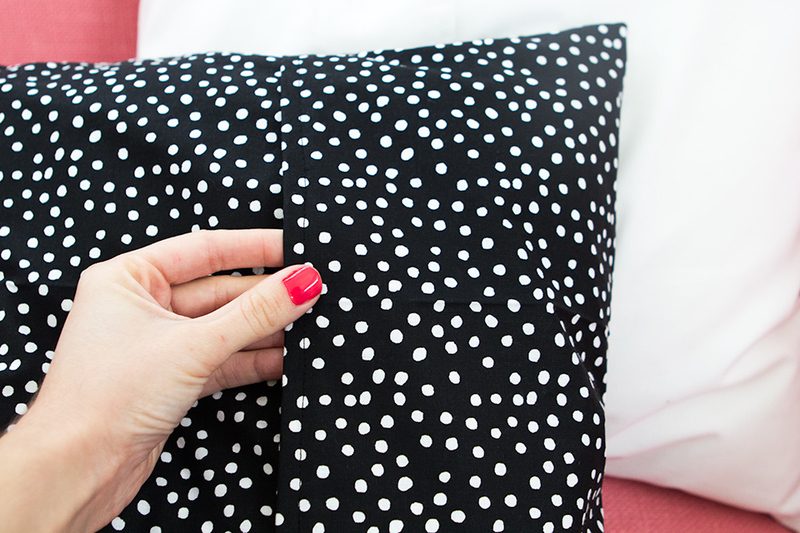 I wanted to make these as easily and quickly as possible so I turned used my Silhouette Cameo to cut out the pleather appliqués and Fabric Paper Glue’s awesome envelope pillow tutorial for the pattern (it’s seriously such a great tutorial). When using your Silhouette to cut out pleather and other thick fabrics I found it works best when you iron on the sewable fabric interfacing to the back of the fabric and cut it on a cutting mat. I used the 12″ x 24″ mat when cutting out the gold scallops and the 12″ x 12″ mat for the heart. If you don’t have a Silhouette you can cut out the printable templates out on 11″ x 17″ paper and trace the patterns onto the pleather. Thanks—the kitchen is coming together a little at a time! I’m hoping to have most of it done by mid March and I’ll post about it then too! That scallop pillow is so gorgeous!! 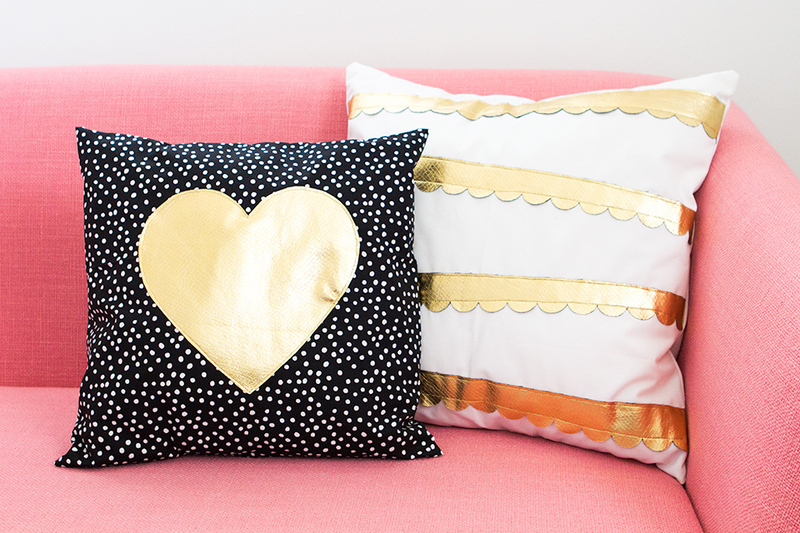 I love the adorable gold heart & scalloped DIY heart pillows. My arthritis is pretty bad! Would you make me one and allow me to purchase it? Thank you for considering my request!